Mondays through Fridays 7:30am - 6:00pm. 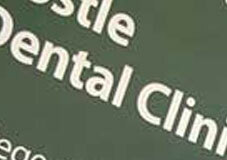 LHS provides dental services to patients of all ages and provides comprehensive, quality dental care. Offer best possible care at affordable prices. Services offered include examinations, cleanings, fillings, extractions, and preventive dental care. Root canal therapies and crowns are also provided as a way to restore severely decayed or fractured teeth. Their dentists can also rebuild smiles by replacing missing teeth with bridgework, removable partial dentures, and full dentures. LHS has an excellent pediatric dental program that builds a foundation for a lifetime of healthy and beautiful smiles. Most major insurances are accepted, including Tricare, Blue Cross and Blue Shield, United Health Care, Medicare, Medicaid, Medipass, and many others. If you do not have insurance a Sliding Fee Scale discount is available, based on your household income, to those who qualify. Finding dental costs for procedures is difficult. We created this section so users of our website can see what others have paid for dental treatment at Thomas E. Langley Medical Center Dental Services. Do you know how much Thomas E. Langley Medical Center Dental Services charges for services? Attention We cannot guarantee the dental costs to be completely accurate. They are displayed for informational purposes for our users. We have compiled prices provided by users and online research. In order to obtain actual costs please contact Thomas E. Langley Medical Center Dental Services directly.